Using torque wrench, torque hex head screws (Figure 1, Item 10) to 420 in-lb (47 N·m). Install new gasket (Figure 2, Item 3) on engine block (Figure 2, Item 1) over dowel pins (Figure 2, Item 2). 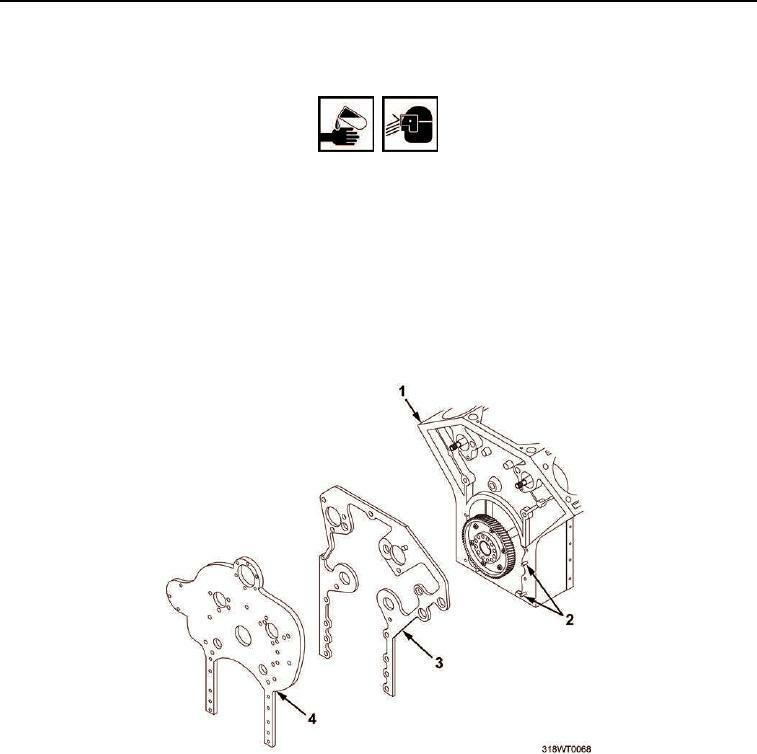 Install rear end plate (Figure 2, Item 4) on engine block (Figure 2, Item 1). Figure 2. Rear End Plate Gasket. (Figure 1, Item 1) finger tight. Install cam bearings (Figure 1, Item 2) on rear end plate (Figure 1, Item 1). Install right-hand dummy bearing (Figure 1, Item 9) on end plate (Figure 1, Item 1).